Although I love all things fall, pumpkins are my perennial favorite. From the stereotypical pumpkin spice latte, to carving pumpkins with spooky faces, to pumpkin-infused Pinterest recipes - I love it all! Maybe it's the sweet organic look of a few squash nestled together, or maybe it's the scent that brings with it nostalgia for every back-to-school season I've ever endured, but there's something about pumpkins that gets me excited every time autumn rolls around. 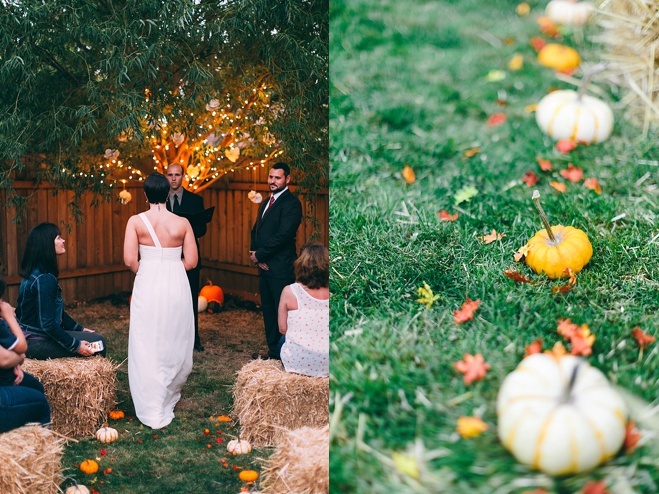 I couldn't resist rounding up a few of my favorite wedding pumpkins to share - scroll through and take a look! From squash mounted on rustic hay bales to glam gilded gourds that double as serving bowls, there's something for every bride (Cinderella or not). 1. 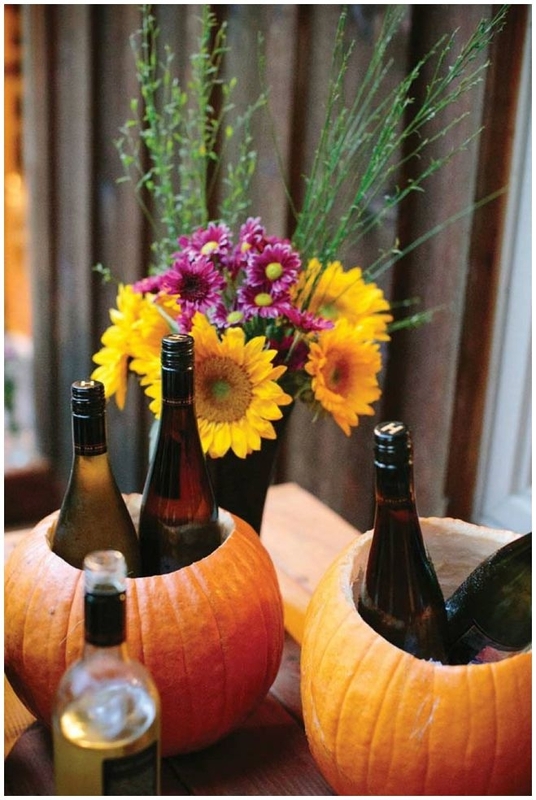 Hollowed-out pumpkins double as wine chillers to keep guests' beverages cool. 2. 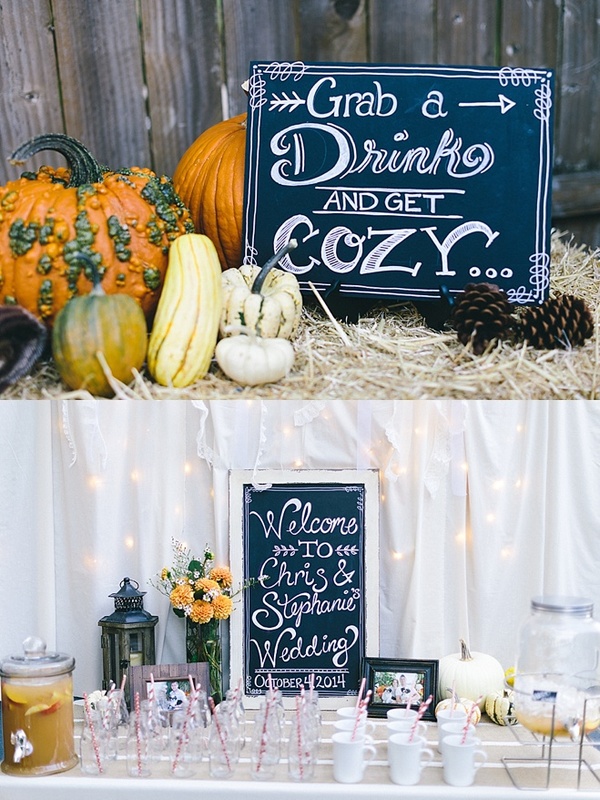 Varying shades and sizes of gourds scattered about the decor lend a cozy autumn feel to this big day. 3. Pumpkins carved with the wedding date make an adorable save-the-date photo op, and the carving is a picture-perfect engagement session activity! 4. A few mini-pumpkins hidden in the table setting add a pop of color and lend to a rustic look without being overpowering or overly seasonal. 5. 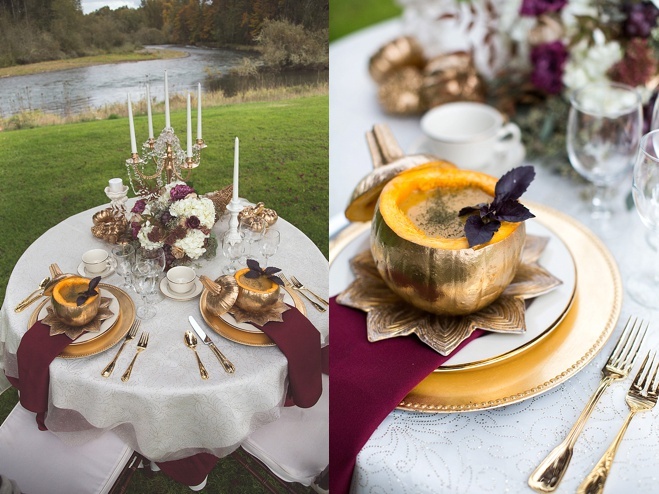 Gilded varieties of the seasonal squash double as soup bowls at this elegantly autumnal table setting. 6. Multicolored minis complete a harvest-themed ceremony aisle. 7. 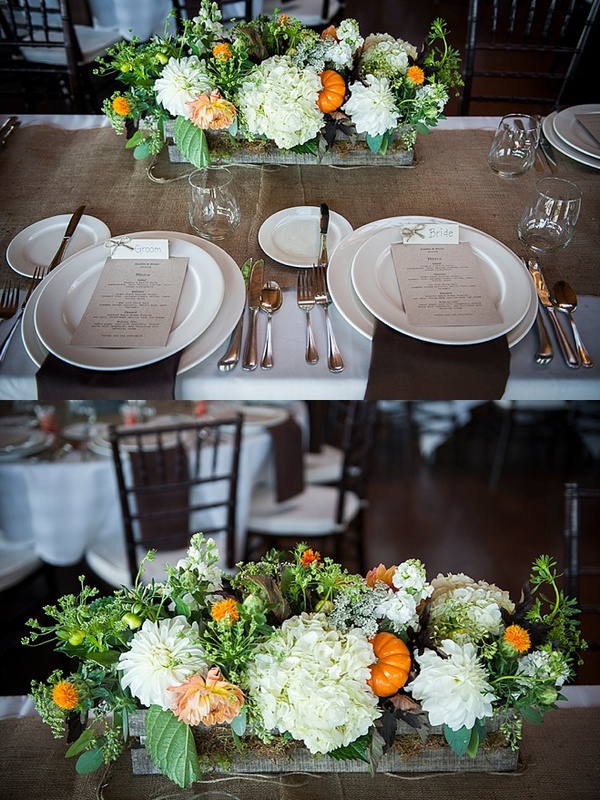 White, sage and burnt orange varieties add a dose of fairytale whimsy to an elegant affair.